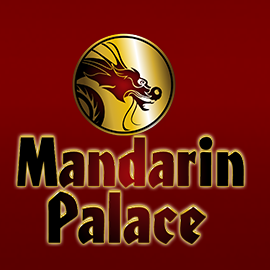 March is birthday month at Mandarin Palace Casino. Gensys Club, the company that operates the casino, celebrates 10 fun-filled years along with their players. There are a number of promotional offers as part of the birthday celebrations, with a fabulous trip for the winner. One lucky Gensys player stands the chance to win a trip to Wynn Hotel and Casino in Las Vegas. The all expenses paid trip is the main prize, however, there are plenty of bonuses along the way. Enter the Wynn Hotel promotional offer simply by depositing $50 at the casino. Deposit $50, get a 110% match deposit bonus offer up to $220, and an entry to the prize draw. Enter the WINWYNN coupon code for the match deposit bonus. Prize draw entries are automatic. Anytime you deposit $50 at the casino, you get a prize draw entry. Increments of $50 deposit add up until they form yet another prize draw. The more you play, the more entries you collect, and the greater your chance of winning. With celebrations totaling around $1,000,000, Mandarin Palace Casino sweetens the deal with fun promotions throughout the month. Earn 10 tickets to the Wynn Hotel and Casino prize draw while enjoying 10 sets of 50 free spins. Play all 10 slots and earn 10 tickets to the lucky draw. Age of Spartians – Redeem 50 free spins with a $50 deposit and the AGE10 coupon code. Big Game – Redeem 50 free spins with a $50 deposit and the BIG10 coupon code. Gems n Jewels – Redeem 50 free spins with a $50 deposit and the GEMS10 coupon code. Lucky Leprechauns – Redeem 50 free spins with a $50 deposit and the LUCKY10 coupon code. Tomahawk – Redeem 50 free spins with a $50 deposit and the TOM10 coupon code. Wild Berry – Redeem 50 free spins with a $50 deposit and the WILD10 coupon code. Wild Wizards – Redeem 50 free spins with a $50 deposit and the WIZ10 coupon code. Bucksy Malone – Redeem 50 free spins with a $50 deposit and the BUCK10 coupon code. Roll Up Roll Up – Redeem 50 free spins with a $50 deposit and the ROLL10 coupon code. Elemental 17 – Redeem 50 free spins with a $50 deposit and the ELEMENT10 coupon code. Play the free spins offers as many times as you wish until the end of the month. The promotion runs until 31st March 2019.